The essay “Il compito della filosofia nell’ora presente” [The Task of Philosophy in the Present] by Piero Martinetti, a brief manifesto of his thinking, stems from three conferences that the author gave in 1920 in Milan. On the one side, this essay deals with several metaphysical issues that allow the reader to approach some of the most central themes in Martinetti’s philosophical reflection. On the other side, it provides a clear vision of what Martinetti thought should be the role of philosophy in his day. Particularly, this text reveals Martinetti’s reflection on society and on the function of the intellectual within it; a vision that diverges from the typical image of Martinetti, which emerges especially his late correspondence, as a solitary and isolated thinker, who had no interest in the political context and in the destiny of society. In this essay, he appears rather as seriously committed to the analysis of the problems and causes of the social and economic crisis in post-war Italy and Europe. One of the first elements in this essay that should be underlined is the fact that Martinetti, in line with his transcendent idealistic vision, ascribes the causes of the “external changes” of contemporary society not primarily to the economic and political situation, but rather to a profound moral crisis. In this sense, the decline of the “social organism” is not due to the corruption of only one of its parts, or to the malfunctioning of some of its components, but to the dramatic lack of a spiritual and religious renewal that would be able to permeate it entirely and intimately. In other words, for Martinetti the core of the problem is not to be found in the discrete elements of the social system, but in the “ideal energies that constitute the deepest reality of the social order”. 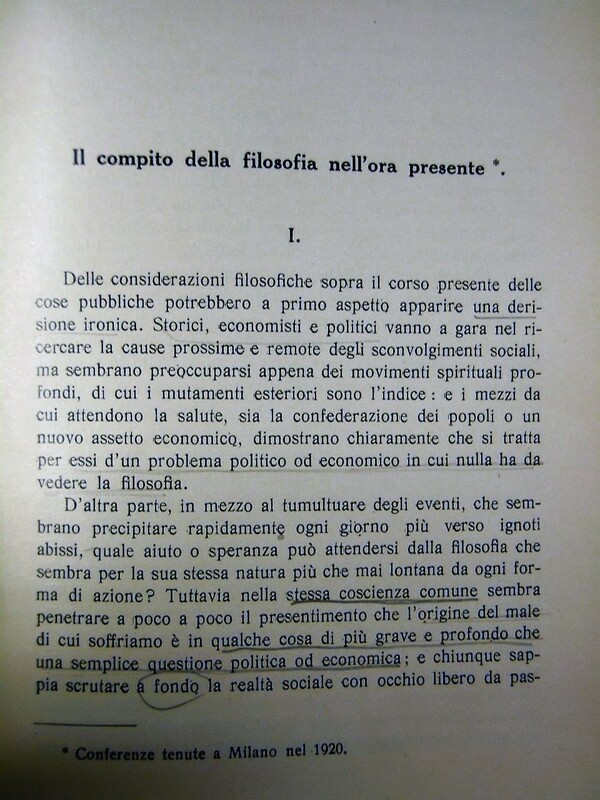 After recollecting a passage from the Republic, in which Plato states that the true mission of the philosopher consists in fostering the development of the community, Martinetti points out what is the fundamental question that animates his work: “What is and what should be the action of thought and of the ideal factor in social life?”. The answer to this question is somehow apparent already in the incipit of “Il compito della filosofia nell’ora presente”: the ideal factor is society’s driving force. Hence, a radical change of the social conditions will occur only by means of an intervention on the deep motivations that lead people to act and to think; an intervention that would aim at encouraging and fostering a transformation of these “ideal” motivations, which are the real source of our decisions. “How can we complain that thought does not penetrate into and shape our social life? And why are there epochs, like the current one, in which everybody who is not blinded by their own interests and prejudices feel more starkly than ever the need of an ideal renewal of life? And what are the paths and the means through which we can reach this renewal? To all these questions, we can answer only if we tackle this issue by taking into account its principles and its connections to the fundamental problems of philosophy. Only in this way will we be able to distinguish its sense and meaning, and to shed light on its consequences”. The strong bond between social context and philosophical vision emerges therefore as decisive for determining human motivations and as the only scope for action, in view of a possible renewal. In light of these premises, Martinetti outlines a series of metaphysical problems and shows, in a rather concise and not fully developed way, his philosophical position. Martinetti’s remarks, even though concentrated in few pages, allow us to clarify some fundamental points of his thinking. One of these points is the idea that philosophical research, and more generally all the forms of human knowledge, are characterized by a synthetic method, and not by an analytic one. In this respect, the logical and deductive demonstration plays a secondary role. What is fundamental is rather the moment of the “imaginative vision”; of the intuition of a new truth. Knowledge (a new knowledge) does not stem from the passive reunion of data and from experimental results, which rather constitutes a more or less sterile form or erudition. Knowledge is only reachable through a standpoint that also builds on those same data, and yet constitutes something completely new, insofar as it adds something to the mere analytic subdivision of data into their constitutive elements. The synthesis, which is for Martinetti the truly original and genetic aspect of our knowledge, constitutes the necessary step for gaining higher levels of awareness. Logical demonstrations and empirical proofs come next to that, and they would be meaningless without this first act of synthesis. This same distinction can be detected also among those who are involved in the practice of research. The act of synthetic vision belongs to those who are the real protagonists of the scientific (as well as the moral and the religious) progress: to the “inventors” (or “heroes”: a term used in the context of religious symbolization); to those brilliant minds that reach forms of conceptualization that are truly innovative. On the other hand, “servile spirits” determine and apply on a peripheral level these new truths, which they understand as a sort of dogmas, as if they were not the outcome of intellectual processes, but obvious and non-problematic data that one can use in the concrete scientific practice. By dealing with how people confuse “truth” with “data”, Martinetti underlines how data are never something that is simply given to our faculties. To the contrary, data are configured as products of the process of knowledge and therefore are subject to mutation and transformation: “A purely spiritual and philosophical factor inheres in facts. It is because of this factor that one fact, as we see it today, is not the same fact that people saw ten centuries ago anymore”. 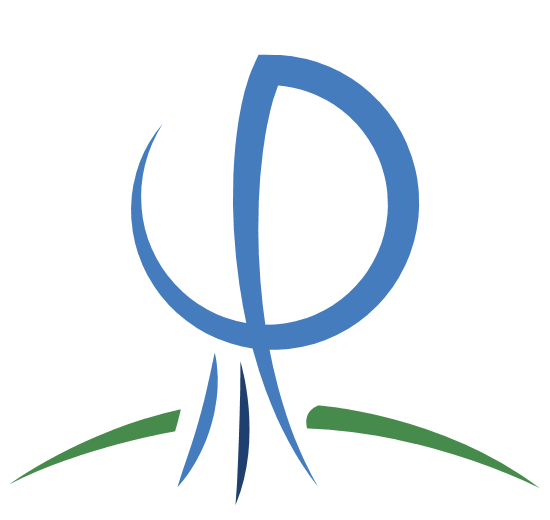 The general (philosophical) vision, insofar as it ensures a gnoseological development and therefore the creation of new viewpoints, expands its influence on those facts that enter our cognitive horizon. Hence, an absolute fact, understood as pure givenness, is impossible. A theoretical and philosophical element, which makes us perceive a fact always in a certain and determinate way, will always be present. In the strict sense (and for Martinetti this also applies to perception), “facts” do not exist, as long as they are understood as entities which stand independently from their theoretical-conscious correlate. In every cognitive field, a reality that at a certain level of conceptual elaboration might be considered as a pure “given thing”, can appear at a higher stage of conceptualization as a clear product of spiritual activity on the data of conscience. A similar discourse would apply to every (lower and higher) levels: every further step towards the truth – this is at stake here: a progressive convergence towards a pure form of knowledge – consists of an access to a more coherent and comprehensive gnoseological system, which is grounded on conceptual structures that, time after time, are to be considered either as “data” or as “theories”, without causing any contradiction. Such a process must be acknowledged as inherent in the same scientific processes. Otherwise, the continuous progress of sciences could not be explained. The idea of philosophy (and of the role of philosophy) that stems from such an interpretation of the links between general theory and its determinations is quite clear: philosophy “is not a set of solutions, but a unique solution”. Whilst, on the one hand, a theoretical component permeates every little advancement of knowledge, on the other hand, the way we tackle every practical issue implies resorting to a whole reference system that ends up being also modified by this issue. Analogously, the demand for a change of the material and spiritual conditions of society must also go through a renewal of our general philosophical standpoint, insofar as 1) a tight connection exists, according to Martinetti, between “intellect” and “will” (“the practical life of a man is, indeed, nothing but the active translation of his general world vision”) and 2) philosophy has a profound moral and religious nature, and is not a complex of abstract deductions, but a vision leading every thinking being (humans and animals) towards their own goals. At this point in the essay, Martinetti analyzes two different theories of society, which both reproduce the sciences/philosophy scheme that we encountered above. If we look at the “multiplicity of elements and forces” that are active within the social context, and at the actors and dynamics that are involved in them, we are allowed to conceive society as a great “mechanism” regulated by laws stemming from its internal structure. On the opposite side, if we understand society as an entity that exists per se, independently from the elements of which it consists, then society will appear as a great spiritual unity, a sort of “higher conscience” that “embraces” all the individuals, and make them an instrument in view of its goal. Both these theories are coherent and work well in their respective contexts, as it is shown by the fact that the scientific protocols that depend on a mechanist conception of society are effective interpretative tools. Limiting ourselves to these considerations, however, would mean missing the deepest meaning of social dynamics. “The mechanism is only a semblance of the spontaneous creative activity”, whereas “deep interior life” is precisely the true and ultimate engine of the whole social system. “We can therefore understand […] social reality in that deep unity that is also its truest reality; as the explanation of a spiritual energy, of a will that tends – like every other spiritual unity – towards that absolute unity in which everything is grounded”. How is it possible that many individual consciences end up constituting a single entity? Martinetti answers this point by showing that this process has two causes: law and morality. After recollecting some of the classic theories about the rise of society, he underlines the fact that the action of law does not end when morality starts. In the transition from the violent application of laws to the “harmonious” moral acceptance of alterity, a certain continuity still exists, as well as a mutual influence between them. Not only law paves the way to a moral life, but it is also influenced by it, inasmuch as our moral sensitivity can end up modifying laws and extending their applications. The “soul” of and the “essential moment” in the life of a people emerge therefore in the search for the harmonious unity in which people recognize they share the same destiny. Economy, politics, law, even morality and religion are all instruments that reveal how we are aimed at this quest. The one of the philosopher is an important and difficult task, because of its crucial position. It creates the general world vision that determines how we know things, and therefore also determines our practical reason: the way we decide to act.